Fees may be paid weekly, fortnightly or monthly and can be paid either by cash, EFTPOS, cheque and Direct deposit. Fees are required to be kept 1 week in advance with all overdue accounts attracting a $20 late fee. Fees are payable to the Director/Assistant Director or Administration Assistant. Full fees are payable for absences due to family holidays, illness and also for days when the Centre is closed for statutory holidays. Fees are not charged to families during the Christmas/New Year closure. The Centre closes at 6.00pm. The Regulations state that at least two staff must be at the Centre while children are in attendance, and one must hold a Certified Supervisor Certificate. If children are collected after 6.00pm, late fees are charged at the rate of $1.00 per minute to cover the payment of overtime to the two members of staff. Late fees do not attract Child Care Subsidy. Please ring to let us know that you will be late. If we do not hear from you by 6:30pm we will ring your emergency contacts to ask them to come and collect your child. If we do not hear from you or your contacts by 7pm we will call the Police. Caregivers should arrive in sufficient time to conduct any account business, discussion with staff about their child, collect the child and their belongings and have left the Centre no later than 6.00pm. 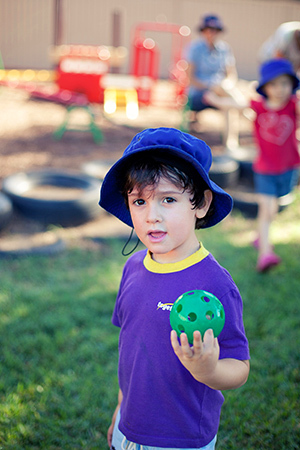 Living Faith Early Learning Centre is an Approved Care Provider and eligible parents/carers can access Child Care Subsidy to assist with the payment of their fees. The amount of CCS is dependent on your family's income, the number of children you have in care, and whether you meet the Work, training, study test (or an exemption applies) To claim CCS families must have a MyGov account. You will be issued with a CRN for yourself and your child and these will need to be supplied to the Centre along with your child's enrolment form. Under the Government Child Care Management System (CCMS) each child is eligible to receive Child Care Subsidy for an initial 42 days of absences per financial year, which can be used for any reason, and without proof of circumstances. (inclusive of Public Holidays) Once the initial 42 absence days have been exhausted, additional absence days may be claimed in certain circumstances, and will require supporting documentation. The FAO will maintain a count of absences used by each child across all services for the financial year. Absences are recorded on each receipt on a weekly basis. The Director will be happy to answer any questions concerning Child Care Subsidy.